The highly crafted conference sessions reflect the strategic issues that senior cyber security executives have identified as priorities during our lengthy research process. You will choose from a selection of plenary and concurrent sessions covering a myriad of issues that will create the foundation of your agenda.Session formats include: Co-presented Case Studies, Panel Discussions, CaseReviews, Roundtable Discussions and Interactive Debates. An integral part of your agenda is the one-on-one business meetings with leading solution providers. When you register for the Cyber Security for Healthcare Exchange, you will be asked to identify the solutions and services you are currently considering, so we can invite leading experts to the Exchange who will fit your business needs. Prior to the Exchange, you will be able to assess the solution providers who will be attending and select those who offer products and services that match your initiatives and priorities. Your selections are then incorporated into your customized agenda. These private thirty minute one-on-one meetings give you the opportunity to hear from leading specialists, whose industry knowledge and experience enable them to make a valuable contribution to the requirements of your business. They offer objective, flexible, and relevant strategies for success. This unique aspect of the Cyber Security for Healthcare Exchange serves to simplify the process for sourcing new solutions and external counsel, enable you to discover strategies that are working for others and offer you early previews of emerging technologies. Our signature BrainWeave® sessions encourage discussion, debate and learning in an unscripted and informal setting. 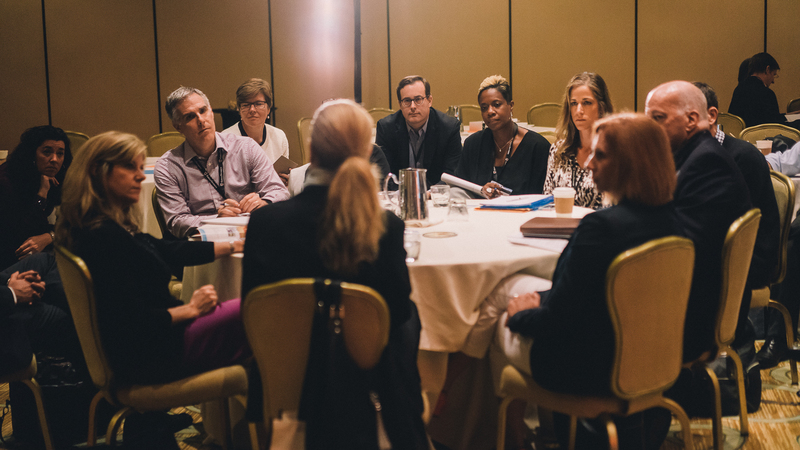 You can choose to participate in these interactive roundtable style sessions on topics which are top of mind issues. You will be able to select from six possible BrainWeave® topics which will be incorporated into your personal itinerary. These discussions will be moderated to ensure that the discussions stay on-course and deliver maximum benefit to you. Ask questions, share experiences, ideas and find the right answers to your immediate concerns. Roundtables are more informal discussions that are facilitated by a solution provider. Participants generally have a mutual interest in the topic and look forward to the insights and interactions with their peers. While the sessions are led by solution providers, the discussion is more free-flowing. A MasterClass is an in-depth discussion led by a solution provider. The delivery format is flexible in that the solution provider may use a case study or present with a client to “bring the content to life”. We discourage heavy PowerPoint presentations as these take away from the level of interaction that is achieved with a case study or client. The most visible speaking opportunity at the Exchange, the Chair welcomes the audience, introduces speakers, and acts as the main resource for attendees. Make an in-depth presentation to our entire audience in the general session room. Highlight your Value Proposition and Key Differentiators during this 15 minute presentation to the entire audience in the general session room.